What is a “Focus Word,” you ask? It’s an overarching theme that speaks destiny, and since we are continually being changed from glory to glory, I believe in changing up the focus word yearly. You can pick any word or phrase, but I ask the Father in heaven to reveal one to me (He already knows what my future holds, so I’m confident that His word choice will be on point!). 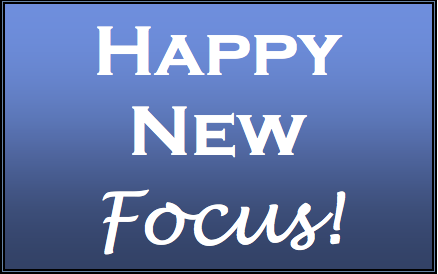 Yesterday’s post talked about my New 2015 Focus, and you can read it here. There’s something powerful about the choice of words we vocalize. They proceed from our mouths with creative power. The Bible is full of living examples of this truth- cover to cover! It makes me want to be more selective with what I say, you know? Be a visionary this year, and hold fast to a word that divinely speaks of what is to come! It is a guaranteed way to increase your expectation in the Lord- something He takes great pleasure in our doing!! Whether your influence is over your individual life, a household, a ministry, and/or a corporation, I pray that you use this tool and experience kingdom realities in the New Year!